Ashley Burns is a Retail Banking Manger who supports the Universal Banking team and goes above-and-beyond for her clients. 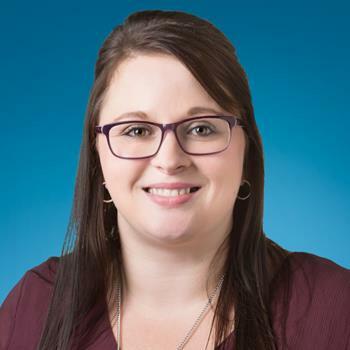 After spending years in management roles, Ashley has developed a superior ability to coach and equip her team to provide every customer with the ideal solutions for his unique situation. Ashley takes prides in preparing her team for continued career growth and success, and in enhancing clients’ lives by exceeding their expectations. Throughout her career, Ashley has gone beyond the status quo: seeking out innovative possibilities and solutions for customers facing challenging circumstances, and providing team members with the specialized guidance and mentoring needed to truly shine.